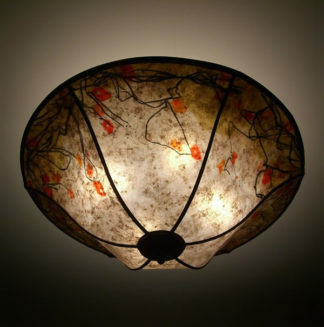 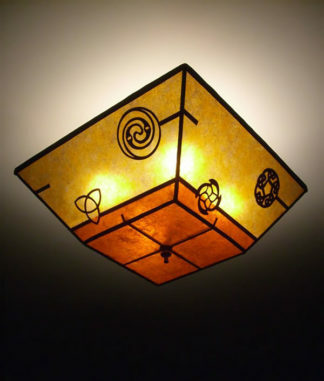 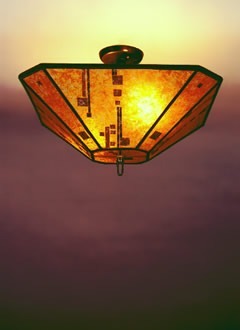 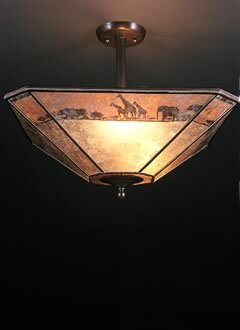 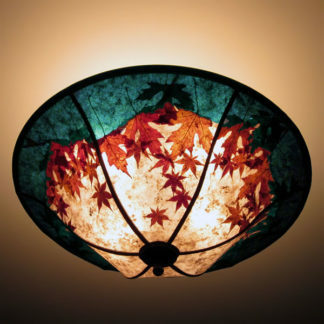 Orange and red Maple leaves filtering the full moon were the inspiration for Sue’s newest curved mica ceiling light. This is a dramatic presentation, lovely play of a dark teal border, the flames of the Maples, and the clear central moon. 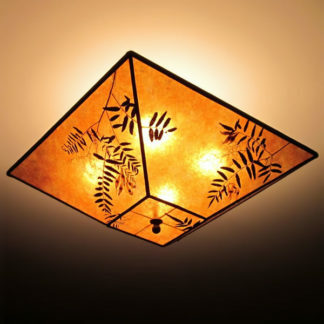 It is the latest iteration of Sue’s fascination with brilliant, colorful liners combined with natural leaves.